Phone companies are certainly at a loss as to what will excite the Indian mobile phone customer enough to buy their product. It certainly is not the brand name as can be seen by the entry of so many brands not heard before. With the requirements differing so much between the users, companies are trying various combinations of features to keep everyone happy at a reasonable price. Though the high-end sector has its loyal users, the mid-range is where the action is. At these prices, people don’t mind changing their phones frequently. 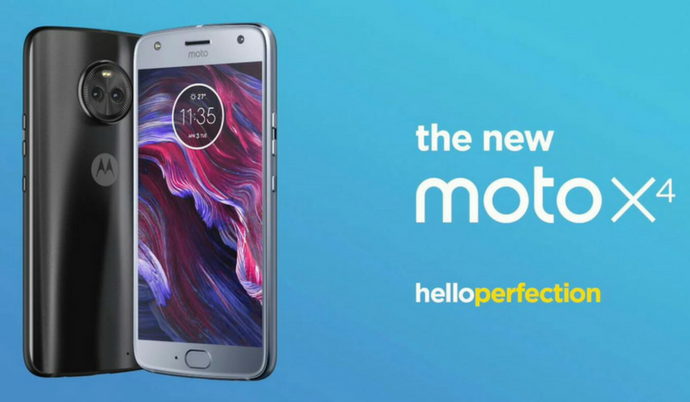 The Moto X4 from Motorola signifies the relaunch of their X-series of mobile phones in the mid-range segment. Motorola is no stranger to the Indian market. They were popular among us even during the pager days. In the mobile market, they carved a niche for themselves though not always on top of the ladder. The Moto X4 was released in November 2017. The first thing to say about this phone is that it comes with Stock Android experience. The phone currently working with an Android 7.0 Nougat is certainly poised for an upgrade. Though the phone is placed in the mid-range by the price, the looks of the phone are certainly high-end. The phone from Motorola has a Corning Glass front and back covering the metal body in between. That certainly gives it great looks. It comes with a 5.2-inch IPS LCD display which offers great viewing but lacks the bezel-less display available with many phones today. The fingerprint sensor is placed at the front bottom. The performance of the Moto X4 is way ahead of other phones with a 2.20 GHz Octa Core Qualcomm Snapdragon chipset under its hood. This promises a 10% improved performance over the Snapdragon 625 found in most other phones in this price range. This certainly gives an edge to this phone. The cameras are worth a mention. The back camera is a dual camera set up with 12 MP plus 8 MP resolution. The front camera is 16 MP. The rear camera has dual LED flash and the front camera has an LED flash. Taking pictures under low light is never going to be an issue. The phone is IP68 certified which means it can be kept 1.5 m under water for about 30 minutes without getting affected and it is dust-proof. The higher model of the phone comes with a 64 GB internal storage and 4 GB RAM. There is also a lower end model with 3 GB RAM and 32 GB internal memory. The price difference is too small to go for the lower end model. The memory of the 64 GB model can be expanded up to 2 TB. You will never have a problem with memory and RAM. The camera is a performer no doubt. The only disappoints are that the phone doesn’t come with FM radio, and the camera is slightly slow in processing images, which can be corrected with a software and hopefully will be done soon. It’s a phone worth buying for the price it is offered at. Xiaomi Redmi Note 5 Pro Review, Should You Buy?